McDonald’s Malaysia is delighted to announce the return of Malaysia’s favourite Chicken FoldoverTM. Back by popular demand, the Chicken FoldoverTM is available at all McDonald’s restaurants for a limited time starting from 20 November – 31 December 2014. The upcoming holiday season also makes the third appearance of the Chicken FoldoverTM a timely one as it gives the opportunity for family and friends to catch-up with their loved ones. “The Chicken FoldoverTM has always been popular with our customers. That’s why we have especially brought back the Chicken Foldover and hope our customers will rekindle their love for it, as much as we look forward to serving them in our restaurants,” said Stephen Chew, Managing Director of McDonald’s Malaysia. 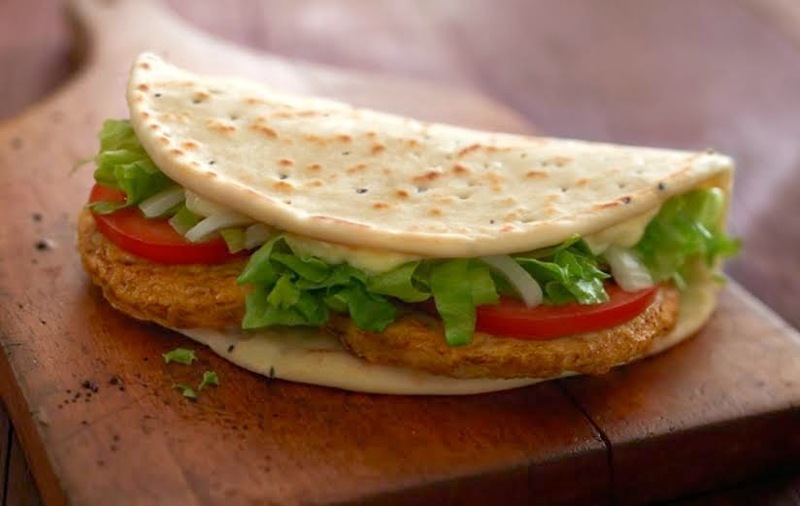 The Chicken FoldoverTM features two succulent and perfectly grilled 100% chicken patties wrapped in a warm toasted flat bread peppered with Kalonji seeds. This delightfully sumptuous meal provides a good balance together with other fresh, quality ingredients – fresh crispy lettuce, juicy tomato, and crunchy onions. The delightful taste of the Chicken FoldoverTM is also complemented with a dash of a specially prepared tasty garlic mayo sauce that completes the eating experience. The all-time favourite Chicken FoldoverTM is priced at RM8.95 on the à la carte menu; and at RM9.95 for a medium McValue Lunch or McValue Dinner set. Meanwhile the medium McValue Meal set is priced at RM11.95. For more information,visit us on McDonald's Malaysia Facebook or surf to our website at www.mcdonalds.com.my .